Hotel chains in China lead the industry to progress in an innovative way. They want to implement a vision of a hotel not as a stay for visitors, but as space they can work at, rest, entertain themselves in, etc. 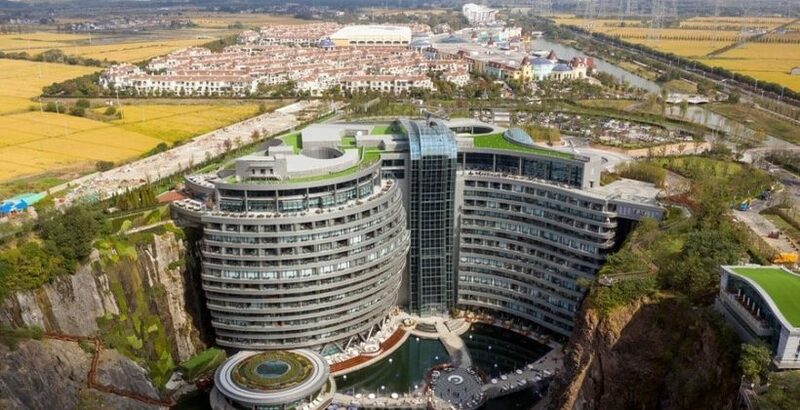 Chinese hotels are famous for always trying out new concepts and new services, starting with design and finishing with the way workers talk to you. This time, they say that hotels aren’t just accommodation anymore, they have expanded to being complexes for many different purposes. However, in people’s minds, a hotel is still only a place to stay a night or two, no matter whether they use those special facilities or not. The key is to adapt to the modern mindset of the people who are becoming the main consumers – people born in the 90s. Most hotels still operate according to the standards of the 70s 30-year-olds, according to the chairman of the BTG Homeinns Hotels Group and one of the speakers at TravelDaily China Hotel Marketing Conference, David Sun. He says the industry is getting younger and their innovative ideas should be implemented more to satisfy their needs. From now on, hotels should provide working and co-working space for those who seek office, rooms and suits for those who seek tranquil sleep, places of entertainment for those who seek it, etc. All these ideas can be explained in two words: evolution and expansion. These two processes are a major goal for Chinese hotels, and hopefully, for hotels around the world. The most important thing in any industry that provides certain services to people is to have their clients satisfied. For that, hotels may need to bond with those who rest, work, or live there better, which can also be done by experimentation. BTG Homeinns Hotels Group, with David Sun in charge, plans to expand and open about 400 more facilities and hotel complexes of a new standard in the following 3 to 4 years. They also want most of those facilities to fall into the mid-scale segment. Moreover, the group plans to get to about 30-40% of mid-scale complexes in their portfolio. Besides, they plan to build the so-called Yunik hotels. These are facilities about an hour from a big city, mostly specialized on leisure for people under 30. There won’t be any classic lobby, but there will be coffee bars, bars, playrooms, etc. These Yunik hotels will be equipped with the latest technologies, including virtual reality, augmented reality, smart home appliances, and so on. As of now, the group plans to open a couple of such hotels, moving to 60-80 in the nearest future.